This stylish Samsung RS50N3513SL side by side fridge freezer will look great in your kitchen, and comes with a range of features to keep food perfectly chilled. Chill Out An American style fridge freezer like Samsung’s RS50N3513SL offers a lot of storage space for all chilled and frozen products. The freezer has a generous 192 litre capacity, and the fridge gives a whopping 359 litres. You’ll never have to worry whether you can fit that tub of ice-cream into your freezer again. With five shelves and two drawers inside the fridge, there are lots of options to arrange all your food exactly as you want it. 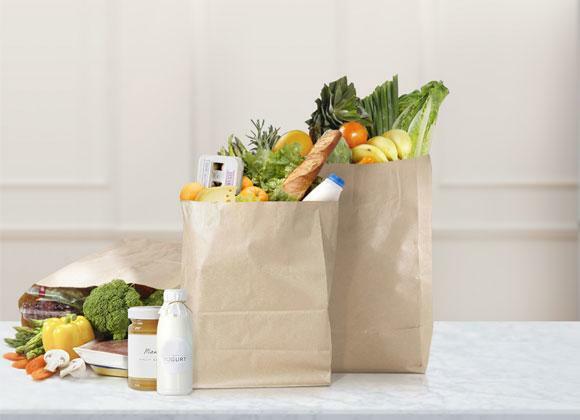 Four door pockets provide plenty of space for small products like butter and cheese, plus tall bottles and cartons. You’ll find the perfect place for that special bottle of wine in no time. The freezer offers three shelves and two drawers to arrange all your frozen goods, reducing the amount of rummaging when you want to get on with cooking. All the shelves and drawers are transparent, so it’s much easier to find everything you want. As the shelves are glass, they are suitable for taking heavier items, letting you use all of the space available. Nearly all fridges have a light in them, but the RS50N3513SL takes this to the next level with LED Lighting. This light located at the top of the fridge makes it easy to see on every level, so food is never forgotten in dark corners. Samsung Special Features Samsung are known for innovative design, and they bring this to the RS50N3513SL. Multi Flow technology blows cold air through vents located on each level of the fridge, ensuring an even and consistent temperature is maintained. An A+ energy rating saves you money over time, reducing your carbon footprint, and an acoustic alarm lets you know if the appliance doors have been left open. The Samsung RS50N3513SL also comes with a 4 star freezer rating, so you can be assured of the appliance’s performance. Our installation service covers the whole of Greater Manchester and also many parts of Lancashire. Our prices are constantly monitored to ensure that we are as competitive as national retailers. 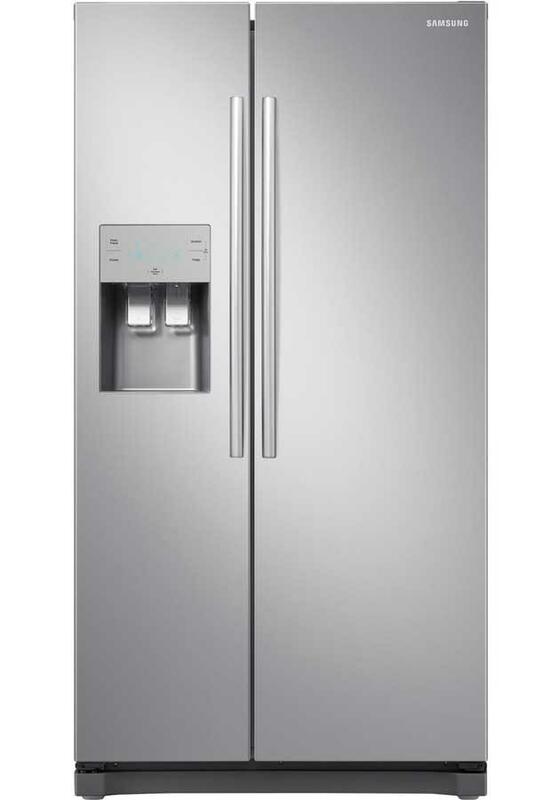 This Samsung Fridge Freezer is also available with a bespoke white glove delivery and installation service.